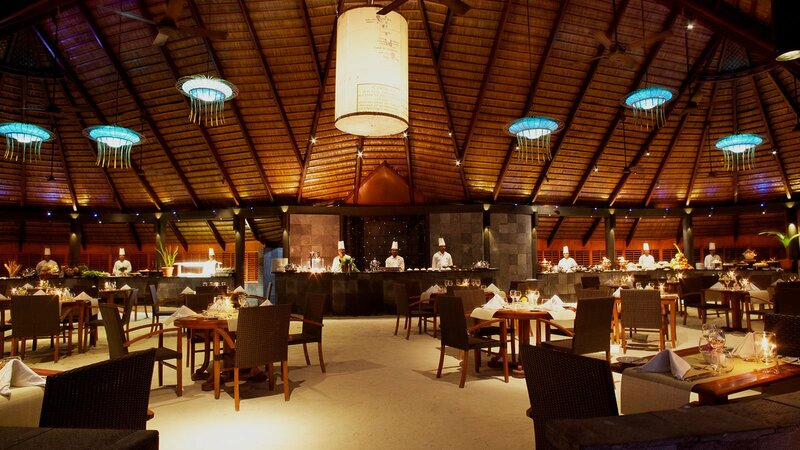 Whether it’s a romantic meal for two under a blanket of stars, a sumptuous buffet or fine dining, Komandoo has exquisite dining options for all occasions, even the chance to dine under the sea at our neighbouring sister resort, Hurawalhi Maldives. 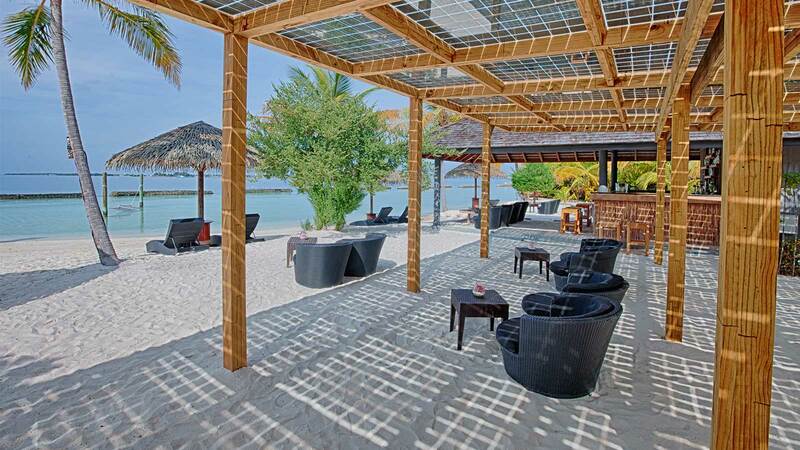 A choice of bars in which to enjoy a favourite tipple completes wining and dining at Komandoo. Komandoo's a-la-carte restaurant Aqua is simply spectacular. 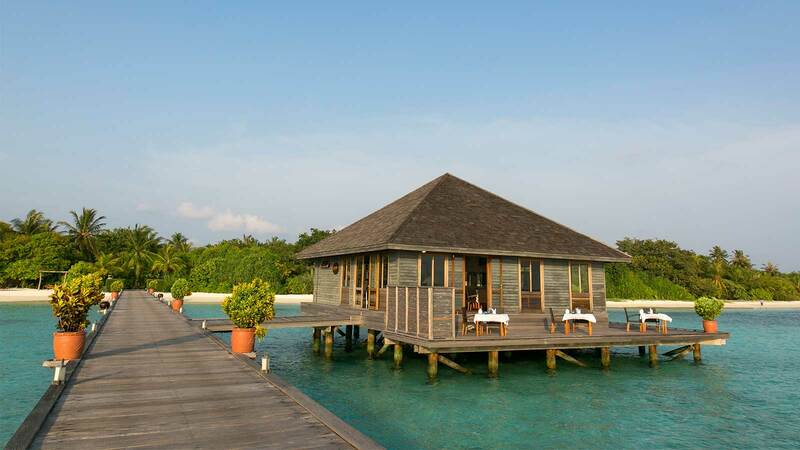 Resting on stilts over the lagoon, diners can enjoy incredible dishes surrounded by the Maldives' natural beauty. As Komandoo guests, you have a once-in-a-lifetime opportunity to dine below the ocean! 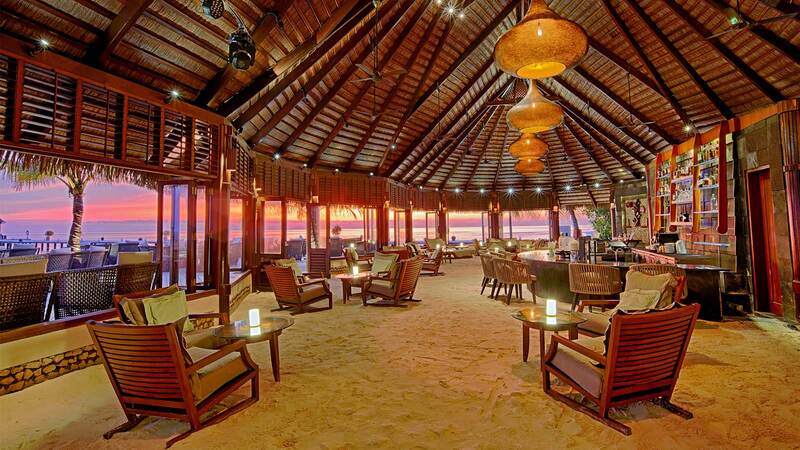 5.8 Undersea Restaurant lies 5.8 meters below Hurawalhi Maldives, just minutes away from Komandoo. Sample extraordinary cuisine buffet style from all over the world on 6 show cooking stations and enjoy some or the rising stars of the wine world. A candlelight dinner under a starlit sky for just the two of you, a luscious barbecue beach dinner or dining in the comfort of your villa, romantic dining is a speciality of Komandoo. Whether it is to enjoy a morning coffee, a refreshing mocktail or a nightcap with friends, the bars at Komandoo are a great place to sit, relax and enjoy the stunning views.